With no mandate to repeal Bill 148 the majority government of Doug Ford, elected by the minority of Ontario voters, has betrayed all workers by pushing through Bill 47 to repeal many of the provisions of Bill 148. The Ford government talked about “for the people” throughout the election campaign. When asked, Labour Council VP, Dave Trumble stated that “now with the election behind him and Ford’s corporate and business leash holders being the only people he is apparently interested in, Ford and his sycophantic caucus have betrayed the very people that he claimed to want to work for”. As Bill 148 was being debated in 2017, members of the Grey Bruce Labour Council met with local MPP’s Bill Walker and Lisa Thompson. Both MPP’s were re-elected in 2018. During the meetings with Labour Council Delegates neither Walker and Thompson could see eye to eye with the position of the Labour Council, a position by the Council that clearly supported Bill 148 and even further improvements. However, both MPP’s were clear and concise that they wanted to hear from all their constituents and to hear all points of view. Those delegates that attended those sessions with Walker and Thompson now recognize that the statements by the MPP’s were nothing more than “lip service”. “MPP’s walker and Thompson both lined with Ford and tossed workers and many of their constituents aside to ensure their continued position as lapdogs of organizations that have advocated against workers and improvements for workers”. 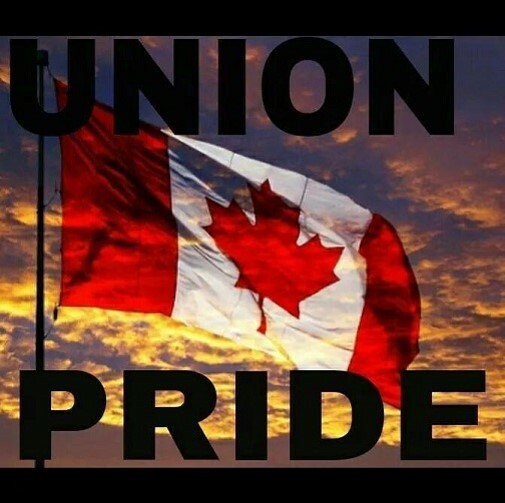 The Grey Bruce Labour Council has been the voice of workers for over 60 years and is made up of private and public sector unions that represent thousands of workers across our region. These workers and their families need to know that the actions of the Labour Council going forward will support the activities of provincial organizations such as the Ontario Federation of Labour and “15 and Fairness” to hold local politicians accountable, to support Days of Action and to work to do all that is possible through collective action to undo the betrayal of workers so callously and heartlessly enacted by the Ford government and our local MPP’s, Thompson and Walker. This entry was posted in Uncategorized on October 31, 2018 by greybrucelabour. On several key issues, arbitrator William Kaplan’s Oct. 23 decision sided with Amalgamated Transit Union Local 113, which represents about 11,000 TTC transit operators, fare collectors and maintenance workers. The award ends a seven-month stalemate between the two sides — the previous collective agreement expired March 31. “Toronto’s hardworking public transit workers are pleased with the new collective agreement, which recognizes our vital role in the communities we serve through fair wages and benefits,” said Local 113 president Frank Grimaldi in a statement. The TTC had sought to remove language from the agreement that prohibited contracting out transit service. It also wanted to secure permission to introduce a part-time workforce, and to eliminate a requirement that it pay a 25 per cent per hour premium to employees who work on Sundays. TTC spokesperson Brad Ross said the agency has no plans for a large-scale contracting out of transit service. But it had been contemplating enlisting York Region Transit to operate the Dufferin North bus route, and using non-TTC drivers as part of a “micro-transit” pilot project that would engage private for-hire vehicles to supplement regular transit service. “It’s language that we felt doesn’t give us as management the flexibility to do things we might want to do in the future,” he said of the contracting out prohibition. 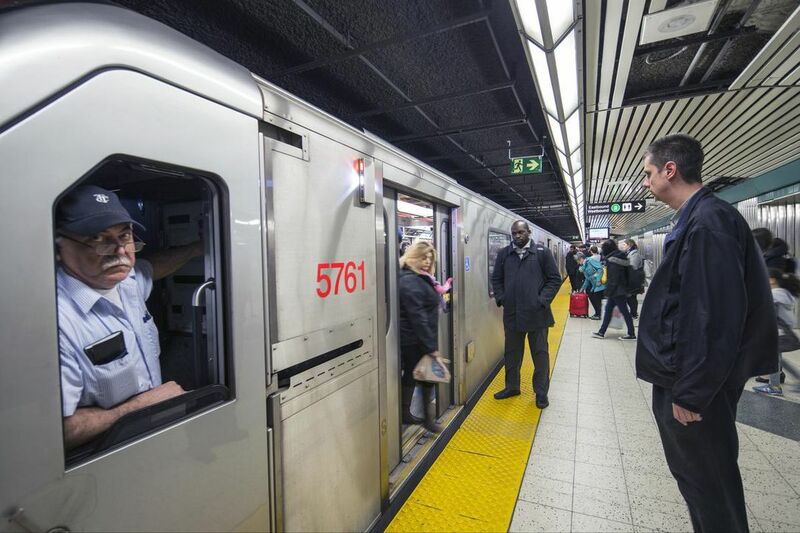 Ross called Sunday premium pay an “antiquated concept,” and argued introducing part-time work would “improve scheduling efficiency” and increase the pool of employees available to the TTC during peak service periods and special events. Kaplan dismissed those proposals however, writing in his decision that there was no demonstrated need for such a “drastic change” to the terms of the collective agreement. The arbitration award will give Local 113 members an across-the-board wage increase of 6 per cent over three years, which is more than the 5 per cent increase over four years that unions representing City of Toronto inside and outside workers won in 2016. According to Ross, the TTC is still calculating how much the award will cost the agency. This entry was posted in Uncategorized on October 30, 2018 by greybrucelabour. (TORONTO, ON) – In response to Ford Government’s Bill 47, which was tabled yesterday and seeks to freeze the minimum wage and repeal the most basic protections for workers, emergency actions will be held by community and labour groups across Ontario starting today. Wednesday, 4:30 PM to 6:00 PM – London Chamber of Commerce, 244 Pall Mall St.
Monday, 6:00 PM – 8:00 PM, Workers Arts & Heritage Centre, 51 Stuart St. This entry was posted in Uncategorized on October 24, 2018 by greybrucelabour. As part of the Labour Councils’ Activist Day on October 22nd an information picket was conducted at MPP Lisa Thompson’s office in Kincardine. The Labour Council and Ontario Nurse’s Association, Region 5 VP Karen Bertrand, attended the picket to reinforce the need for ongoing and adequate public funding of healthcare. The Ontario Health Coalition conducted a significant rally on the 23rd and the Grey Bruce Labour Council not only conducted the local picket, but demonstrated solidarity with the OHC at Queen’s Park on the 23rd. As the local picket was being undertaken, the government of Doug Ford, supported by MPP Thompson, took action to betray thousands of workers in Ontario by pushing through Bill 47 to remove the worker benefits in Bill 148. With guest speakers Karen Bertrand, Region 5 Vice-President Ontario Nurses Association, and Mike Rencheck, Bruce Power CEO, the Grey Bruce Labour Council celebrated the awarding of the Workers Health and Safety Centre / Grey Bruce Labour Council 2018 Health and Safety Activist Award and the Grey Bruce Labour Council Activist of the Year. Larry Alderdice, PWU Chief Steward and Board Member, was presented with the H&S Activist Award. Larry’s career as an exceptional Trade Union Leader enabled workers to do their best to ensure safe and healthy workplaces. Mel Hyatt, President of the Power Workers’ Union, attended the dinner and provided supportive and complimentary words on Larry’s career and accomplishments. Congratulations Larry. The Owen Sound FHO members of OPSEU 276 were presented with the Activist of the Year Award. The Local withstood 106 days on the picket line and made the entire Labour Movement proud of their accomplishments. Congratulations to members and staff. The dinner was preceded with a Labour breakfast and tour of Bruce Power, where Karen and delegates enjoyed a tour of Bruce Generating Station “A” . Expert guidance was provided by SUP VP, Mike Gade, and Bruce Power Manager, Chris Mercanti. This October Activist Day brings Trade Union Leaders and exceptional activists together each year to celebrate those that move social progress and worker representation forward in profound ways. The synergy of the day comes from the collaboration of inviting and engaging with industry leaders such as Bruce Power and Mike Rencheck. Thank to our award winners, guests of honour and to all those that participated in the very important day in our community and our region. Special thanks to Karen Bertrand, Mel Hyatt and Mike Rencheck and Chris Mercanti and his team for hosting the tour. Another wonderful meal by the Tara Legion was enjoyed by all. Finally, a note of very deep gratitude to all attendees. This news release was sent to the local media today. Ontario’s largest trades council has reaffirmed its support for Bruce Power’s Life-Extension Program, which includes the Major Component Replacement (MCR) Project. The Provincial Building and Construction Trades Council of Ontario recently passed a Resolution at its 61st Annual Convention, to continue supporting the program, which will allow the Bruce Power site to operate to 2064. It is anticipated that the Life-Extension Program will provide between $980 million and $1.2 billion in labour income, as well as about $1 billion in broader economic impacts through the direct and indirect purchasing of equipment, supplies, and materials. In 2015, the Council signed a Memorandum of Understanding with Bruce Power to work collaboratively with the company, its contractors, and federal regulators to meet Life-Extension and MCR goals over the coming decade, while pledging to diversify its members. “Since 2015, we have actively lobbied the government to support Ontario nuclear by showcasing the industry’s commitment to safety, apprenticeship training, and the diversification of the construction workforce, by providing careers to local residents, including women, Indigenous peoples, visible minorities, military service members, youth, and the underemployed,” Dillon added. Kelly Trice, Bruce Power’s Executive Vice President, Projects & Field Services, said the support of the Provincial Building and Construction Trades Council of Ontario is imperative to Bruce Power’s success. This entry was posted in Uncategorized on October 17, 2018 by greybrucelabour.